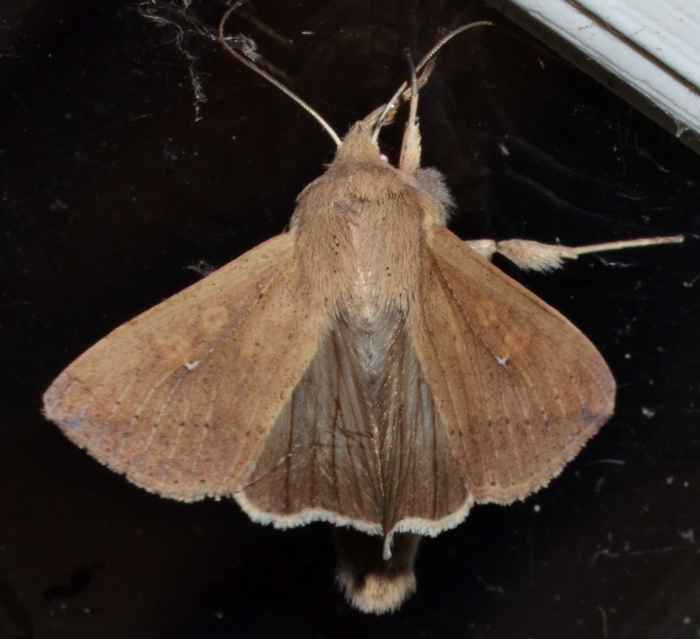 Mythimna unipuncta - Hodges#10438 (Armyworm). Size: approx. 30 mm. Photo: 11/22/11, 11 pm. 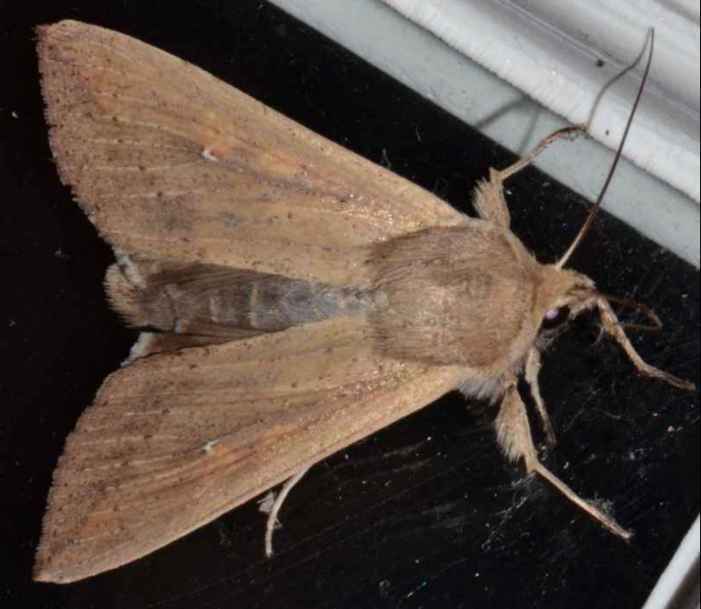 The Armyworm (Mythimna unipuncta) is a very common moth throughout most of North America. Its English name refers to the caterpillars which eat until there is nothing left and then "march" by the thousands to a new food source.